Scooby-Doo! Laff-a-Lympics is another Scooby-Doo series also known as Scooby's All Star Laff-a-Lympics. 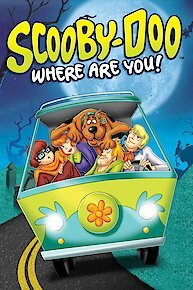 The show made its debut in 1977 and is the fourth cartoon series in the Scooby-Doo franchise. The show is about three teams, the Scooby Doobies, the Yogi Yahooeys, and the Really Rottens who competed in Olympic style contests. The contests were hosted by Snagglepuss and Mildew Wolf. The different teams are from other Hanna-Barbera shows. The show is like the Battle of the Network Stars and it's entertaining to see which team will win in each episode. Teams compete in Touch the Tip of the Pyramid race, camel racing, knight racing, and a rescue contest. Teams compete in dune buggy racing, Fill Up The Oasis race, Lochness Photograph race, and three-legged kilt racing. The teams compete in downhill skiing, ice skating, tobagganing, sumo wrestling, tennis, and batting. Today's wacky contests include tree cutting in Canada and a flying carpet race in Baghdad! The teams' crazy contests occur in the disparate climates of tropical Tahiti and the frigid North Pole! The teams' wild events occur in the disparate climates of tropical Hawaii and icy Norway. Teams compete in mule racing, tightrope racing, Catch the Leprechaun, and hole-in-one golf contest. Teams compete in jungle boat racing, vine swinging, rollerskating, and fishing. Exotic locales in India's lush Bengal Jungle and historic Israel's Negev Desert provide the backdrops for today's exciting events. Teams compete in bullfighting, gypsy wagon race, hang the bell on the Abominable Snowman, relay racing to the top of Everest. Scooby and the gang attends the Athletic World Games. They discover a haunting that threatens the whole events. Scooby-Doo! Laff-a-Lympics is currently available to watch and stream on Warner Bros.. You can also buy, rent Scooby-Doo! Laff-a-Lympics on demand at Amazon, Google Play, iTunes online.